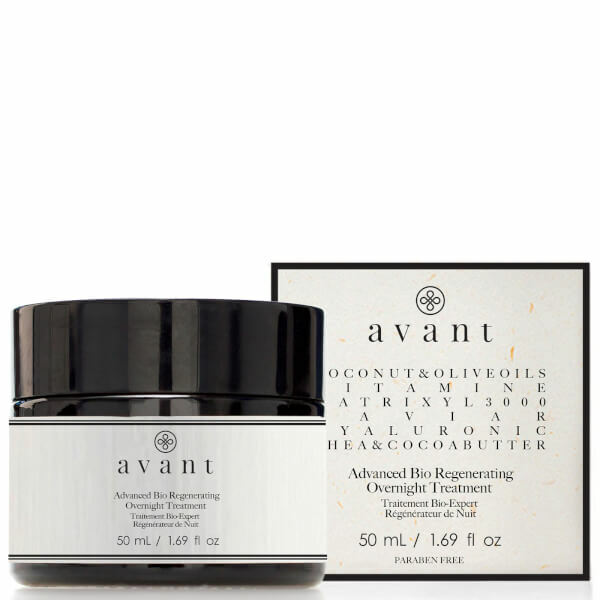 Treat your skin to the nourishing and anti-ageing benefits of Avant Skincare's Advanced Bio Regenerating Overnight Treatment; part of the first ever range launched by the brand. Combining nature with science for maximum efficacy, the replenishing formula utilises bio-active and lab-based ingredients to help restore skin's natural balance and visibly diminish signs of ageing. Its restorative blend of antioxidant-rich Shea and Cocoa Butters deliver regenerating and moisturising properties whilst protecting against daily stresses. Award-winning Matrixil 3000 works in tandem with Hyaluronic Acid to plump skin with moisture, reducing the appearance of wrinkles while encouraging improved tone and elasticity.